Thanks to everyone who entered these fun giveaways, I really appreciate it! 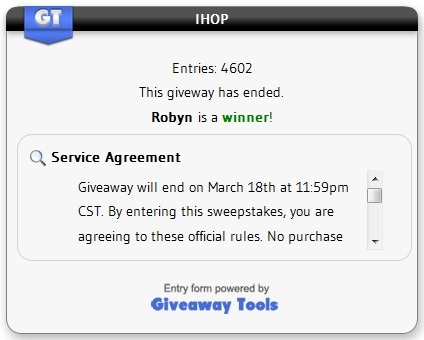 There is no last initial on Robyn's name and I was wondering if it was me? Congrats to the winners. 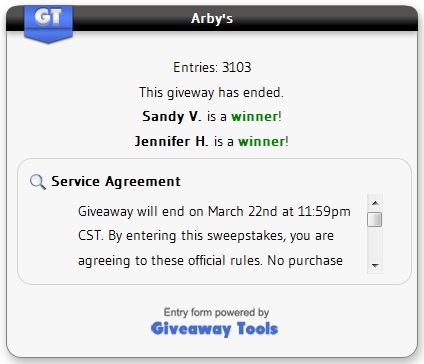 I so appreciate how you lay out the winner and keep us updated fairly quickly on it. Some contests it's hard to find if a winner was chosen and it's days and weeks later.